California Employment Development Department’s (EDD) latest data shows on a seasonally adjusted basis, total employment was up 38,600 from November, while the number of unemployed dropped by 46,200. The labor force essentially stayed level with a drop of 7,600. California’s seasonally adjusted unemployment rate improved to 4.3%, the lowest in the current data series that began in 1976. California had the 22nd highest unemployment rate among the states. The unadjusted rate from dropped from 5.0% in December 2016 to 4.2%. Total US employment saw a seasonally adjusted gain of 104,000 from November, while the number of unemployed dropped by 40,000. The national unemployment rate was steady at 4.1%. The national labor force numbers rose by 64,000. California’s participation rate (seasonally adjusted) in December eased to 62.4%, while the US rate stayed at 62.7%. Between December 2016 and December 2017, Bureau of Labor Statistics (BLS) data shows the total number of employed in California increased by 382,100 (seasonally adjusted), or 21.4% of the total net employment gains in this period for the US. Based on the total numbers, California remained in 1st place ahead of Florida (which has a civilian working age population only 55% as large as California’s) at 302,200 and Texas (69% as large) at 301,500. Measured by percentage change in employment over the year, California improved to 18th highest. Adjusted for working age population, California rose to 16th. EDD reported that between November and December 2017, seasonally adjusted nonfarm wage and salary jobs grew 52,700. November’s gains were revised to 53,700 from the previously reported 47,400. In the not seasonally adjusted nonfarm numbers overall, hiring saw increases in all but 4 industries over the year. The change in total payroll jobs from December 2016 saw the largest increases in Construction (60,000), Government (46,100), and Food Services (42,900). Declines included Manufacturing (-2,800), Retail Trade (-1,400), and Mining & Logging (-800). At 342,500, California showed the highest increase in seasonally adjusted nonfarm jobs among the states from December 2016 to December 2017, ahead of Texas at 306,900. By percentage growth in jobs, California rose to 9th highest at 2.1%, above the US average of 1.4%. By population adjusted jobs growth, California rose to 13th highest. Comparing the number of jobs by industry in December 2017 (not seasonally adjusted), six industries had employment below the 2007 pre-recession levels. The highest gain industries were led by lower wage Food Services, Health Care (with a relatively higher mix of lower and higher wage occupations), lower wage Social Assistance, and higher wage Professional, Scientific & Technical Services. Of the lagging industries, three—Manufacturing, Mining & Logging, and Construction—are blue collar middle class wage industries, while the higher wage Finance & Insurance also remained in the minus column. Construction losses, however, have begun to contract. The following chart illustrates the trend for total wage and salary jobs by general wage level, according to the industry wage classification used previously in other Center analyses of this issue. As indicated, about one-third of net jobs growth since the recession has been in the low wage industries, while the stronger showing for Construction shows stronger gains in this period for blue collar middle class jobs. Construction, however, was stronger primarily due to dry conditions in December 2017 compared to near normal precipitation levels in December 2007. While unemployment rates have improved in the interior counties as a result of seasonal employment, the level of unemployment rates (all data is not seasonally adjusted) continues to vary widely across the state, ranging from 2.8% in the Bay Area to more than twice as large at 8.1% in the Central Valley. Containing 19.4% of the state’s population, the Bay Area was responsible for 40.1% of the net growth in employment since the pre-recession peaks in 2007. Inland Empire provided the next largest share at 19.5%, but Los Angeles Region, containing 29.2% of the population, accounted for third at 19.0%. Inland Empire is the only other region continuing to show employment gains above their population share. According to BLS data, of the 10 Metropolitan Statistical Areas (MSAs) with the worst unemployment rates nationally, 7 are in California. Of the 20 worst, 9 are in California. The agencies are going through their annual revisions to the labor force and jobs series. No releases are scheduled for February, with the January data set for release on March 2 (California) and March 12 (other states), and the February data on March 23 (California and other states). Revised labor force and industry employment and hours and earnings data will also be issued for prior years. Note: All data sources, methodologies, and historical data series available at CenterforJobs.org. 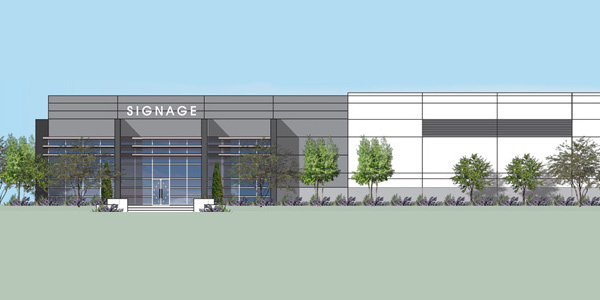 Atlanta-based Ridgeline Property Group could attract a record price on a per square foot and cap rate basis for brand new industrial product in the Central Valley for its planned sale of the Class A, 381,600 square foot Tracy Pescadero Distribution Center in Tracy, according to sources that track the sale of industrial assets in the region. Ridgeline and its capital source, Chicago-based LaSalle Investment Management, had developed the property together, which was completed in 2017. The 19.46-acre site is less than one mile from Interstate 205, an east-west route connecting to Oakland and San Francisco, and it provides easy access to the regional transportation corridors serving the major markets of the Western U.S., according the company’s statement. The sellers are bringing the asset to market for sale on Monday, and they have hired CBRE as the listing agents on the sale. Two people involved are Darla Longo, vice chairman/managing director and Rebecca Perlmutter, senior vice president. CBRE declined to comment when contacted for this story. Its rare for new industrial product in Tracy to come up for sale so soon after the property was developed. Most property owners in Tracy are major institutional owners. Two such examples would be Prologis and DCT Industrial Trust. These companies and others are more interested in holding on to their assets for a long period of time. The Pescadero Center is a single building property. The asset is now 100 percent leased to Excel, which is a DHL Supply Chain entity, and Pactra USA. Both of these companies are considered to be high-credit tenants. The average lease term on these two tenants is 5.6 years. This investment opportunity offers strong cash flow with significant upside to rents given the steady demand and lack of available inventory driving future rent growth. In-place rents are approximately 5 percent below market, offering the new owner future NOI increases upon lease rollover. Located at 1700 East Pescadero Avenue, the distribution facility features 32-foot clear heights, 57 dock-high doors, two drive-in doors, a 185-foot truck court, 92 trailer parking spaces, 317 auto parking spaces and Early Suppression Fast Response (ESFR) fire sprinklers. The asset also has an office component inside the property, which is 9,470 square feet, or approximately 2.5 percent of the total building. The overall 95 million square foot industrial market in the Central Valley remains very strong. The region recorded its 19th consecutive quarter of positive absorption with 2.8 million square feet of net absorption year-to-date bringing the vacancy rate down to 2.2 percent at the end of the third quarter. The Tracy industrial market has also shown strong operating fundamentals. At the end of 2017, Tracy’s average asking lease rate of $0.45 triple-net had increased 15 percent over the past two years. Ridgeline is known in the industrial sector as a merchant developer. The company does have a regional office located in Northern California in Roseville. More electric vehicle charging stations are coming to California after the state approved an initiative to expand charging projects into low-income cities. The Central Valley has opportunity to secure some of that infrastructure. The California Public Utilities Commission approved the new projects, which totaled 15 proposals, on Jan. 11. Approved projects include four PG&E pilots totaling $8 million to be added in PG&E coverage areas. It’s part of a larger $1 billion investment that will add 5,300 new charging points to the state, representing a commitment to new EV infrastructure and related transportation electrification projects. Sites for the new builds have yet to be determined. PG&E will partner with businesses and individuals to advance its initiatives, which include bringing EV access and technology to medium/heavy-duty fleet vehicles, school buses, refrigeration trucks and parking spaces. PG&E will also provide better EV education for homeowners looking to install charging stations in their residence. The San Joaquin Valley can look forward to one project that targets the region specifically: electrifying refrigeration units and other auxiliary power units of agricultural and long-haul trucks in the San Joaquin Valley by providing a minimum of 15 electrified parking spaces at one parking site. The proposals were submitted last year by Pacific Gas and Electric, Southern California Edison and San Diego Gas and Electric under Senate Bill 350 and received expedited review. PG&E on Wednesday launched a new network for charging electric vehicles, a web of green energy that will eventually include 7,500 charging stations. Condominiums, apartment buildings and workplaces throughout PG&E’s service territory in northern and central California are among the types of locations planned for the EV-charging stations. Over the first three months of 2018, PG&E will install new electric vehicle charging sites through partnerships with business customers. Merced College, the first participating customer, was among the first round of installations. The $130 million program will extend over three years and end in 2020, PG&E said. All hosts of the EV-charging sites will be allowed to own the vehicle-charging equipment, PG&E said. San Francisco-based PG&E will be allowed to own 35 percent of the charging stations installed over the three years, which would be up to 2,625 out of the 7,500. “We have just installed chargers at our first customer site, which is the Los Banos campus of Merced College,” said Ari Vanrenen, a PG&E spokeswoman. PG&E installed six chargers at the campus on Wednesday. Each charging station can accommodate two vehicles at the same time. Merced College has decided to own the first six chargers. Equipment for this program includes what are known as Level 2 chargers. “Level 2 charges a vehicle in four to six hours,” Vanrenen said. In January 2017, PG&E proposed a $253 million plan to expand use of electric vehicles in California in a quest for cleaner air, but customers would be forced to pay more in monthly power bills to bankroll the company’s project. The proposal’s elements include helping ease the process of conversions to electric vehicles of existing large- and medium-sized vehicles now running on diesel or gasoline, and expanding deployment of fast-charging electric vehicle stations that power up electric cars in roughly 25 minutes. But that plan would come with a cost: Monthly power bills would rise an average of 28 cents a month for residential customers of PG&E, Vanrenen estimated at the time. An expansion of PG&E’s initial efforts is already in the works through a series of pilot programs, Max Baumhefner, a San Francisco-based official with the National Resources Defense Council, an environmental activism group, stated in a blog post on Wednesday. “These programs will be soon followed by 15 different pilots that were recently approved by the state Public Utilities Commission and which target cars, trucks, buses, cranes, airport equipment, forklifts and other things that move,” Baumhefner wrote in the blog post. The stations that PG&E would own would most likely be in multi-family residential apartment or condominium complexes, as well as in disadvantaged communities. “These would be in places where cars would be more likely to sit for extended periods of time,” Vanrenen said. The walls are up at Ulta Beauty’s new distribution center in Southwest Fresno. But it’s taken months to turn Ag land into a commercial business that will soon house hundreds of employees, sending beauty products around the country. Brand likes the progress he’s seeing, he said the area in Southwest Fresno, known as the “Reverse Triangle”, features an e-commerce business boom with Amazon and Ulta going up. The nearby 41 and 99 will help drivers goods get shipped far north to Canada and as far south as Mexico. Both Ulta and Amazon combined are expected to fill about 3,000 positions for their new centers. The city is working to get people trained and ready. Ulta has hired its leadership positions to work in the new 670,000 square foot distribution center at the Northeast corner of East and Central Avenues. Recently they started hiring mechanics and clerks. Online, people can start applying for material handlers or associate positions. The city offered companies a tax incentive per job, which they say will in turn, over a long period of time, will bring a $40-million to $50-million impact to our area. Now other companies are looking at expanding. “I think we are on the forefront here in Fresno on this new type of economy, and we’re hoping to really capitalize on it,” said Brand. Ulta will be hiring during the next six months. They plan to begin shipping to stores and online guests in July. Sunset Magazine calls Fresno “California’s most affordable big city,” which sounds like something you might see on the archway coming into town. The lifestyle magazine put Fresno on its list of 20 game-changing places to live – in the western part of the United States, anyway. More specifically, the city ranked fourth out of four in the northern region of California, behind Sacramento, Eureka and Truckee. What better way to celebrate the Central Valley than to exhibit photos that highlight life in this area? The Carnegie Arts Center will be doing just that with an upcoming exhibit entitled Valley Focus. Eighty photo pieces by 50 photographers will be on display from Jan. 17 to Mar. 18. Santa Cruz-based photographer Ted Orland selected the pieces from over 250 entries. Orland has worked for designer Charles Eames and was an assistant to Ansel Adams. He currently teaches master class workshops throughout the country. An opening reception and awards ceremony will be held on Jan. 18, from 5-8 p.m. at the Carnegie Arts Center in Turlock, 250 N. Broadway. Now that Fulton Street – closed to cars for more than 50 years – is reopened, people are waiting to see what new businesses appear there. There still are many vacancies and metal gates pulled across storefronts. But restaurants are among the first new businesses working on plans to open on Fulton Street. It might take a while – not all have signed leases yet – but there is plenty of prep work happening. Chicken Shack – The former Payless ShoeSource will be home to the second location of The Chicken Shack from Hanford. The store, at 1108 Fulton Street at the corner of Mariposa Mall, will be divided into two restaurants. It’s still a big, empty space without kitchens, though, so many months of work are ahead. Chicken Shack owner Damon Miller hopes to open this summer. The menu will be much like the restaurant in Hanford, featuring jumbo chicken wings and tenders with more than 30 sauces. Miller was looking at spaces all over Fresno and got excited about downtown’s future. Renoir’s washer woman sculpture stands outside what will be known as Renoir Corner, where two restaurants, The Chicken Shack and Toshiko Japanese Cuisine, are planned at Mariposa and Fulton streets in downtown Fresno. Building owner Robert Gurfield – who also owns the two buildings just north of there – plans to put a sign with the Renoir Corner name on the building. Toshiko Japanese Cuisine – Also hoping to open in the other half of the Payless space is another Hanford business, Toshiko Japanese Cuisine. The sushi and ramen restaurant has a banner up but has yet to sign a lease, so nothing is definite. Tutis Fruties – The cart selling aguas frescas drinks, fruit and hot dogs on Fulton since 1986 is opening a storefront. Called Tutis Fruties (not to be confused with the frozen yogurt franchise Tutti Frutti), the business will serve ice cream, aguas frescas, fruit cups and Mexican desserts and snacks like raspados and tostilocos. Tutis Fruties ice cream parlor nears opening on Fulton Street near Tulare Street in downtown Fresno. Quail State – This bar and restaurant doesn’t exist yet, but its sophisticated Instagram photos of cocktails has people intrigued. The founder says he has the money to open and is in the final stages of negotiating for a space on Fulton Street. But a deal isn’t signed, so he’s not saying where. Quail State would serve farm-to-table cuisine inspired by Fresno and California’s multicultural population. The name is nod to California and its state bird. It would sell craft cocktails made from local, seasonal ingredients. The bar would make its own simple syrups, bitters and vermouth, and barrel-age its own cocktails. If all goes as planned, it could open this summer. Josh Islas and his partners are the people behind Quail State. Islas was born and raised in Dinuba and lived in Fresno for a year before moving to Southern California. He has spent 10 years working in bars and restaurants, including in management and marketing. He has joined with his girlfriend, Hayley Wolf, who will be the chief financial officer, and Fresnan Clinton Jeffries. Fulton Street Coffee Roasters/Raizana – Despite its name, Fulton Street Coffee Roasters has been roasting its coffee in Avenal. Owner Omar Vargas was hoping to open on Fulton Street and did a pop-up shop during the street’s grand reopening event. He is the former roaster at Cafe Corazon and Valparaiso Cafe & Roastery. His search for a spot on Fulton Street didn’t pan out, but he’s landed a location 100 feet away from the street. He will sell coffee and tea out of Raizana Tea Co. at the corner of Fulton and Tuolumne streets, next to Warnors Theatre. He will continue to fulfill orders for Raizana’s wholesale business, which includes selling through Amazon. He will roast coffee and run his coffee business out of the location, too. “Our plan is to make it where Fulton Street Coffee and Raizana continue to grow separately, but as sister companies,” Vargas said. The tea-bar part of the business, where people can come in and order a cup, also will sell coffee. It’s not clear what it will be called and Vargas has some prep work to do first, but he hopes it will be open with regular hours by the beginning of February. But it hasn’t been smooth sailing for everyone. During Fulton’s grand reopening celebration in October, another entrepreneur previewed the business she wanted to open. Desirae Washington (who is part of the family who owns Take 3 burgers on Fulton Street) had hoped to open D’s House of Coffee & Cider. It would have been the city’s first cider bar, plus bring a coffee shop to the northern end of Fulton. She couldn’t reach a deal on the Fulton Street location she wanted to rent, however. She’s now managing the Broadway Events Center not far from Fulton. She still wants to open the cider and coffee business, but it’s probably going to take a little longer. Another business that was up and running when the mall was still closed to cars, Antojitos Mexican Restaurant, has closed. The owners of the business at 1234 Fulton Mall could not be reached for comment. Little Bean Cafe plans to reopen in 2018 at its location on the corner of Mariposa and Fulton streets in downtown Fresno. Little Bean Cafe – This coffee shop was open on Fulton back when it was for pedestrians only. It closed after some electrical problems. Owner Guillermo Moreno confirmed the shop should open this year, but he couldn’t pin down a more specific time. Just the Tip – This restaurant serving tri-tip sandwiches, salads and wraps moved to the area in October. It had outgrown its digs on Divisadero Street near Fresno Community Regional Center. It moved to 2017 Mariposa Mall, near the corner of Fulton and Mariposa. “It was perfect timing because of Fulton Street,” said Bianca “Binx” Lopez, one of three partners behind the restaurant. The trio wasn’t necessarily looking to be on Fulton Street, but they are happy to be part of the changes downtown. They even renamed its sandwiches to reflect nearby streets. The Van Ness, for example, is their French dip sandwich. The building on the corner of Fulton and Mariposa has become a hub of restaurants, including the Kids Cafe 2019, Donut Downtown and La Cocina de Mamá. Across the way, Zest is open inside Radisson Hotel Fresno Conference Center. Existing restaurants, from left, Donut Downtown, La Cocina de Mamá, Just the Tip and Kids Cafe 2019, are located in what will be known as Renoir Corner, near the artist’s washer woman sculpture at the corner of Mariposa and Fulton streets in downtown Fresno. Of course, these newcomers are in addition to restaurants that have been operating on Fulton for a while, including Parsley Garden Cafe, Take 3 Burgers, La Maison Kabob, Taqueria El Guero, China Express, Los Panchos Mexican Restaurant and Casa de Tamales, which reopened after temporarily “pausing” operations during construction of the street reopening. Tioga Sequoia Brewing Co.’s beer garden is at the corner of Fulton and Inyo streets. Hundreds come for an Amazon job. The first day of a three-day job fair in downtown Fresno Tuesday marked the kickoff for people hoping to find work at Amazon’s huge order-processing center under construction at the city’s south edge. Hundreds of hopeful job-seekers showed up at the DoubleTree hotel. Some waited outside for hours on a foggy, chilly morning for a chance to apply and interview for work. But dozens left disheartened when representatives of JLL – the company that works as a vendor to Amazon for technical and mechanical staff – told the crowd that they are not hiring for jobs with Amazon itself. People without a technical background were told they need to apply through Amazon’s recruiting website. The job fair started at the hotel at Ventura and M streets and will continue Wednesday and Thursday from 8 a.m. to 6 p.m. The event is aimed at recruiting applicants for about 80 technical and mechanical positions – jobs that are separate from about 1,500 employees expected to be employed when the e-commerce fulfillment center opens later this year. Construction on the 855,000-square-foot building began last summer. Amazon plans to open a 855,000-square-foot warehouse in Fresno expecting to employ about 1,500 workers when it opens. One of the JLL staffers told the waiting crowd the building will open June 3, but that technicians and mechanics are being hired first to prepare for the start of operations. Those who are hired will be employees of JLL – effectively outsourced by Amazon, but working in the Amazon facility. Amazon representatives said Tuesday afternoon that they cannot confirm the June 3 date, only that the warehouse is set to open this summer. They anticipate hiring their hourly rank-and-file workers in the mid- to late spring, six to eight weeks before the facility opens. The company added that “When we get closer to the date when hiring will begin for 1,500 full-time Amazon roles later this year, information will be available on www.amazondelivers.job. So far, no jobs for the Fresno fulfillment center are listed yet. Amazon has about a dozen human resources and management positions for the Fresno site at another web page, www.amazon.jobs. Christian Jackson of Fresno said he and two friends, Rocco Giuseppe and Jordan O’Neill, got in line at about 5 a.m., but walked away dejected after hearing that only people with technical, electrical or mechanical backgrounds were being sought by JLL. Jackson said he most recently worked for a sporting goods store. “It’s not hard to find a job, but it’s hard to find a good job,” he said. Robert Ortiz Jr. arrived at the hotel about 12:30 a.m. to be the first in line. He said he’s hopeful his experience in building and mechanical maintenance will land him a job with benefits. Job applicants Tia Mouya, left, and Ulyssa Velaquez, right, go over paperwork as they and hundreds of other job-seekers wait in line up outside DoubleTree hotel for the Amazon job fair on Tuesday, Jan. 16. 2017. Velaquez said she arrived at 4 a.m. to get in line. Chris Hunter of JLL said the company is taking applications and doing on-site interviews “for the technicians that make the building run.” That refers to people with experience in robotics, mechanical maintenance, conveyor operations and other technical fields. Hunter said JLL likely will begin hiring a few management positions in February, with a few more hires in March and most in April, all to get the building and equipment ready for the warehouse opening in June. The technical and mechanical jobs are needed because the Fresno building will rely heavily on technology, especially robotics, for the speed and efficiency required to fill orders. Kelvin Downes, Amazon’s West Coast operations director, said last summer that robots will retrieve merchandise from the warehouse shelves and ferry it to workers who will sort and pack the items for shipping. The robots will “allow us, in some cases, to ship (an order) in minutes rather than hours,” Downes said. Most of the hourly employees who will work at the Fresno warehouse “will be putting items on shelves, picking items from a shelf, packing it all together to make sure we get the right items in the right box at the right time, and then shipping it out to the customer,” Downes said. He added that the Fresno center will likely handle orders for smaller-sized goods, such as books, electronic devices and toys. People interested in the nontechnical jobs are being directed to Amazon’s job website at www.amazondelivers.job/. Twenty-seventeen has proven to be yet another exciting year in technology. We’ve seen Google’s artificial intelligence create its own ‘AI child,’ which outperforms those created by humans, growth of blockchain, rapid advancements in quantum computing, flying cars and expanded use of the precise gene editing technique CRISPR/Cas-9. Scientists are even beginning to develop potential roadmaps to reverse aging. As we close out the year and look forward to 2018, let’s take a moment to see which upcoming technology trends will be the most impactful for the Central Valley. On a side note, isn’t it interesting that as collective human knowledge grows exponentially, individual humans appear to be less capable? Some of us are losing the ability to read maps, spell correctly and do arithmetic in our heads. As voice-enabled smart devices evolve into wearables and then implantables, some people may find literacy to be unnecessary in a few years. Back to 2018 tech trends. Despite all the attention that Tesla and the GM/Cruise Automation combo have been getting, Level 5 fully-autonomous vehicles are still several years away. 2018, however, will see the launch of collision avoidance, automatic braking and lane monitoring technologies from most major vehicle manufacturers. Besides saving lives and reducing injuries, the elimination of fender-benders will eventually drastically lower our auto insurance premiums. Delivery fleets are now testing these same features, and semi-trucks may well be the application that pushes the pace for adoption of fully autonomous vehicles in the Central Valley. Agriculture and construction are two of the last large industries yet to be disrupted by advanced software. Progress has been slow in these sectors, but momentum is now accelerating in agtech. John Deere’s $305 million acquisition of Blue River Technologies has lit a fire under venture firms to investigate opportunities and make investments in this space. We are still a few years away from viable protein reactors that literally produce food out of thin air or lab-grown meat (our grandkids will surely find it barbaric that we had to actually kill animals for meat), but many agtech companies are already being funded to improve yields and reduce pesticide use through intelligent software. Ceres Imaging (ceresimaging.net), an Oakland-based VC-funded company is led by agricultural and technology professionals including agronomists, hydrologists, and remote sensing experts. The company’s products, which include agronomic insights through aerial spectral imagery, proprietary sensors and analytics, and artificial intelligence software is already being used to help local almond farmers optimize nut harvests and profits. The next generation of agtech won’t drive productivity gains solely from mechanization as in the past. Instead this new generation will leverage state-of-the-art machine learning and artificial intelligence software. Fortunately, as I mentioned in a previous column, Stanislaus County has established itself as a software development hub, with local companies employing over 1,000 programmers. Several initiatives will further accelerate growth of the county’s software talent pool and even expand it into the Stockton area. Valley Hackathon (valleyhackathon.com) a fast-growing programming contest that highlights local programmers continues to expand and draw coders into the tech community. The next event will be held at Modesto’s ValleyWorx (valleyworx.com) tech and digital design co-working space on January 26 and 27. ValleyWorx now hosts a rapidly expanding coding meetup every Wednesday from 3-8 p.m. The collaboration with Free Code Camp is providing an easy entry point for developers to accelerate their growth. Bay Valley Tech’s (bayvalleytech.com) coding camps and advanced software development classes taught by professional programmers will also grow the local talent pool. In 2018, Bay Valley Foundation (bayvalleyfoundation.com) will begin raising money for a technology scholarship fund to provide tuition assistance to Central Valley students seeking careers in software development. The Entrepreneur Lab, based in downtown Stockton’s Huddle co-working space, is a 21-week, intensive incubation program which cultivates high-growth startups. In addition to software, the Central Valley’s digital design and marketing capabilities are also expanding rapidly. Final Cut Media (finalcutmedia.com) saw their business and headcount triple in the last year alone. As experts in marketing strategy, design and digital video creation, they help leading brands such as Bay Area-based Fit Republic Health Clubs successfully plan and execute integrated, digital-focused marketing campaigns. Final Cut is also a trusted advisor to large organizations like Stanislaus County, developing digital/social communications strategies for their human resources and recruiting teams. Mike Daniel, Partner and Chief Marketing Officer at Final Cut, advises companies to build a solid digital content/distribution strategy and then leverage data to create an effective lead funnel. Final Cut’s success is further driving rapid tech and digital marketing growth in the Valley. Bay Area technology firms winning in the global marketplace have created tremendous wealth in the form of profits, salaries and stock options. The resulting competition for tech workers and housing have raised salaries but diminished affordable housing in the San Francisco/San Jose region. Some communities now require an annual income of $218,000 to qualify for a median-priced home. Tech firms looking for relief have traditionally expanded out of state to destinations such as Denver, Austin and Seattle. The recent surge in Central Valley software talent, however, is beginning to catch the attention of Bay Area companies. The Modesto/Stockton area now has both affordable housing and tech talent, making the region an attractive option for Bay Area companies who want to keep satellite offices closer to home. American Medical Response, Novo Technologies and Oportun have all been expanding and hiring software professionals in their Modesto offices. Recently, Varsity Technologies (varsitytechnologies.com), a San Francisco-based company providing outsourced IT services to organizations that want to make a difference (non-profits, schools and healthcare organizations) opened a second office in Modesto within the ValleyWorx tech co-working space. Local businesses and techies are thrilled to have Varsity bring their expertise and jobs to our community and are confident more Bay Area companies will see the value of investing in our region and our people in 2018.